The Children’s Technical Assistance Center (CTAC) is a training, consultation, and educational resource center available to all child-serving clinics in New York State. CTAC will help your clinic address the challenges associated with the recent changes in clinic regulations, financing, and overall healthcare reforms. CTAC will provide training and support on quality improvement strategies for your clinic — including training on specific clinical skills and evidence-based practices. Importantly, CTAC will help your clinic develop strong business and financial models to ensure sustainability. CTAC training and technical assistance materials and tools are practical, user-friendly, accessible, and employ effective approaches reflecting the context of day-to-day clinic realities. Each training component accounts for today’s financial and regulatory environment to insure that clinics can adapt to the rapidly changing behavioral health landscape. Check the CTAC Website for news and updates! The ENGAGE e-Newsletter is a mechanism that keeps individuals informed and up-to-date on the progress of these initiatives. Stay informed and subscribe to the ENGAGE e-Newsletter today! New York State has a long history of integrating and implementing SOC at the local level dating back to the 1990’s. 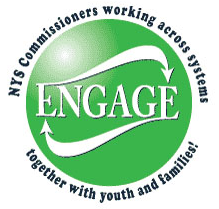 NYS Success aims to expand System of Care to all counties across the state above New York City and Long Island by creating a statewide structure and network of communities and state agencies working together to create sustainable, beneficial change to coordinate supports. The New York Peer Network for Recovery and Resiliency (NYPNRR) is a collaboration between adult mental health peers, peers in recovery from addiction, and families of youth with social, emotional, and behavioral health challenges. We believe lived experience is an important part of supporting recovery, building resilient families, and improving systems. The three partners are Families Together in New York State, the Mental Health Empowerment Project, and Medication-Assisted Recovery Services Project with support from the federal Substance Abuse and Mental Health Human Services Administration (SAMHSA). (2) increase access to and quality of behavioral health systems, services, treatment, and recovery supports so that they are empowering, self-directed, resiliency-oriented, culturally and linguistically appropriate, and promote an enhanced life in the community for those with behavioral health concerns. In order to achieve these goals, we must first assess the needs of our respective communities. Please complete this survey and share with others whom you believe should be involved with this project. Click here to access the survey. Contact Brad Hansen at bhansen@ftnys.org or call 518.432.0333 x28 for more information.